So you want to have a happy, healthy family? 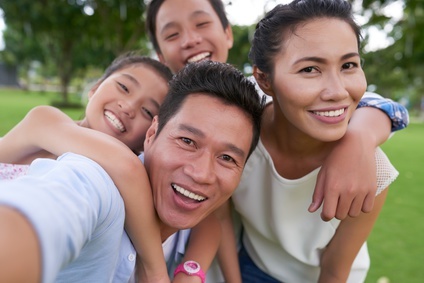 The fact of the matter is that you are what you repeatedly do, so if you are not practicing healthy family habits, then the chances are pretty slim that you are going to have a thriving, happy family. Your family will never change until you change something you do daily. Give your children words of affirmation every day. Words of affection – I love you, you are awesome, I’m proud of you. Sincere words of praise – no flattery, you can’t fool your kids. Specific words of praise – shows you are really paying attention. When you can’t praise results, praise effort. Speak praise of them in front of others. Try “gossiping” positively about them so you know that they hear you. Your kids will hear enough negativity at school, from friends, and even other adults. Your words of affirmation will be like rain in the desert. Paying attention doesn’t just mean acknowledging them, it means–according to the dictionary–to listen to, watch, or consider something or someone very carefully. It means really connecting with your kids. 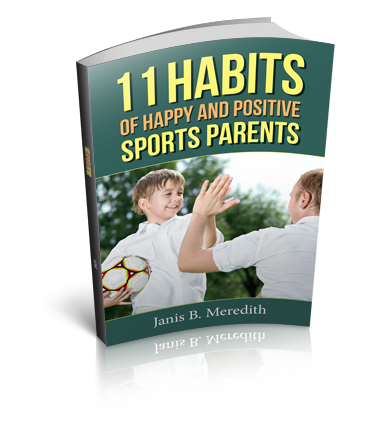 Driving your kids with their friends to games and other places is a great opportunity to listen in to their conversations, to what kind of music they want to listen to, to what they laugh about, to what their friends are doing. You don’t have to say anything, in fact it’s best if you don’t and just let them talk uninterrupted. I’m pretty sure it will be very insightful. No need for badgering. But questions that show interest and questions that indicate you respect their opinion and want to hear their thoughts will hopefully open them up. Getting some kids to open up and talk is a process; it takes lots of patience on the parent’s part and a willingness to take advantage of their communicative moments even when it’s not convenient for you. If your child’s not in the mood for talking, then you won’t get anything out of them without a fight. Better to pay attention to those moments when they are actually receptive and open to talking. Having a healthy and thriving family means that members must work on being a team. Cooperation, sharing, helping each other out, looking out for one another–these are all ways that teammates support each other. Every day, be on the lookout for ways that you can work on family teamwork. Do some team building activities, hold weekly or monthly family meetings, be sure everyone is equally informed about schedules, and teach kids how to express their anger and feelings without demeaning each other. Every family should have core values. Those values will become the compass that guides your child when you are not around. Work with your family to establish those values, keep them visible for constant reference. Talk about those values when you are at home and when you are on the road, when you are going to bed and when you are getting up. Do it daily, weekly, monthly, yearly, as long as your kids are still in your care. The compass you instill in them when they are little will continue to guide them when they grow up. I wish I could promise that if you do these things, your family will be happy and healthy and will not face debilitating challenges. But I’d be lying if I did. Even families who do everything right will face difficulties: kids may still make poor choices and relationships might still be hurt. But having these habits as part of the family will help families navigate those rough waters. It will give you tools and guidelines to cling to when you are wondering what the heck happened to the cute little toddler that adored you. It will give you the right things to keep doing. That is the tough work of parenting–continuing to do the good habits even when it feels like they are not working.